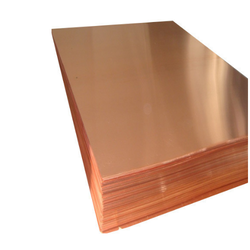 Manufacturer of a wide range of products which include phosphor bronze sheet. We have been supplying Phosphor Bronze Sheet, which find wide applications in varied industries like chemical and mechanical engineering. Accordance with the defined industry standards, these sheets suit the diverse requirements of our clients. These sheets are appreciated by our customers.